Are you curious to find out which habits successful people have in common? I’m a Life & Career Coach, and to me, a successful person is someone who learns and grows at an accelerated pace, in an area that excites them. Maybe you are looking to achieve more fulfilment and growth in your own life and career? If this sounds like you, I bet you’ll learn a thing or two from reading this article. I work with ambitious people from all walks of life. Over time, I have started to notice common factors in the habits of my clients during the course of our coaching programme. More precisely, I have observed certain habits that are clearly present in the people who have come an impressively long way from the start to the end of our coaching programme. These habits often seem to be missing or less pronounced in the people who don’t develop and grow as quickly. I am describing below the top 3 habits I have noticed, time and time again, and am also giving you some useful and practical advice to show how you can implement these habits in your own life. I realise this habit could be considered an oxymoron (or maybe you could call it a meta-habit). Whatever we call it, the clients who experience accelerated growth are the ones that are able to learn and implement new positive habits and patterns of behaviour, consistently. How do they do that? Well for once, these people are remarkably curious about the world around them, including themselves. Another way to describe them is that they are very mindful of everything that goes on, including their bad habits and their limiting beliefs. Mindfulness means becoming aware of what goes on moment to moment, without judging. It’s when we start judging ourselves that we self- sabotage. How do you acquire new habits? If you want to adopt this habit for yourself, next time you experience a negative belief or action that is holding you back, try to observe it rationally, without any emotion. Don’t beat yourself up for experiencing it, just notice it, be curious about it and then let it go. Do this a few times, spread out over several days. After doing this 3-4 times you should ask yourself what you want to do about this observation. Again, be curious and creative, and ask yourself what new habit you can play with and potentially adopt, that would counteract the old habit. View it as a challenge, to be experimented with and refined over time. Bad habits don’t disappear overnight, but being curious and attending rationally to the habit when it shows it’s ugly face, eventually has the power to break the spell. The people who astounded me with their ability to learn and grow were less afraid of failures and setbacks. In fact, they mostly talked enthusiastically about the obstacles they encountered, and the constant re-twigging of their plans due to changing circumstances that kept them on their toes. When you’re at the start of a development journey, things are usually messy. The people who grew a lot in a short space of time seemed to expect this to be the case, so when the setbacks actually happened, they took them at face value. Nothing more, nothing less. In other words, they didn’t allow the setbacks to make them second guess their decisions or question their abilities to succeed at their goal. How do you learn to expect and welcome setbacks? The first thing to tell yourself is that setbacks WILL happen, so if you’re a planner, factor them into your schedule. The second thing is to view the setback as a challenge – you know it’s coming at some point, and when it does, THAT’s when you’re going to learn. Be excited about it. In fact, the setback is part of your development journey, and you wouldn’t grow without it. Lastly, keep reminding yourself of this fact by reading articles and biographies of successful entrepreneurs and business leaders. Richard Branson’s biographies are a great start. The setbacks these people have experienced is nothing less than astounding. It’s likely that what they have overcome outshines your own setback, so take comfort in that and let their achievements inspire you. As well as bouncing back from setbacks, the people who grow the quickest are masters at organising their time. 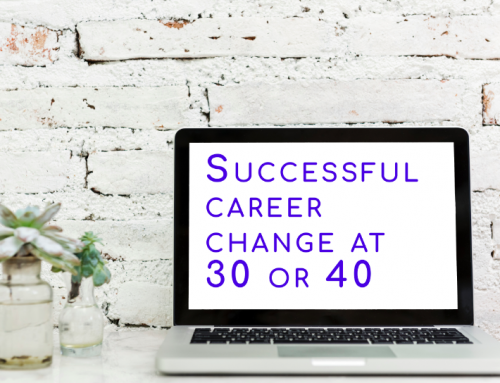 Yes, plans and circumstances change constantly when you’re starting out on a new project or business, but that doesn’t mean you shouldn’t have a plan at all. People who develop quicker have a plan that includes actionable milestones and deadlines. They schedule their action points into their diary, to be revisited and revised every morning and every evening. When circumstances change, they change their action points accordingly, without letting their emotions interfere. How can you get better at planning and scheduling your time? Decide if you’re the type who prefers a good old-fashioned notebook, or whether you’re up for going digital. Personally, I use Evernote for my to-do lists and any information I need to have quick access to, as well as Google Calendar to schedule events. Look at tomorrow’s points the evening before, and decide which ones to start the day with. Also look at the week ahead and decide if your action points are achievable and in the right order of importance. I can warmly recommend Eisenhower’s Urgent/ Important Principle to make sure you also make the time for important, but non-urgent tasks. This is especially important if you want to keep growing and learning. Lastly, instead of doing 10 different things half-heartedly every day, focus on 3-4 things you will dedicate the majority of your time on. Working on a few of these in a focused and calm way, means the quality of your work, as well as your sense of achievement on that day, will be far greater. Those are the 3 habits that my most successful clients have in common. It is absolutely possible to learn these and adopt them in your own life. In my experience, we are all born with different strengths and weaknesses, but I have been amazed at what you can learn if you really set your mind to it, and what you learn can become a new, solid habit. Most of the time, the main thing standing in the way of growing and learning is ourselves, our fears, doubts and insecurities. Coaching can really help overcome these destructive patterns of behaviour, so if you feel you could benefit from professional coaching, write me an email and let’s talk.